I finally updated this list with a few more readings I did this year. Feel free to share your favorites in comments, that deal with the same topics of the prophetic and the supernatural realm. For those who have wondered how I have grown to love the prophetic and the supernatural since this is all I blog about… First God opens your eyes to His Word, gives you the desire and hunger to develop your gifts and then you can grow from there. 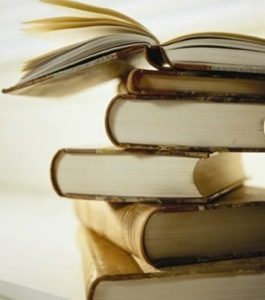 These are the books that most have changed my life, have molded my faith and have opened my eyes to the things of God. They are all so salty they have created much thirst in me! They are posted in order of when I read each book. I started reading the Bible when I was 13 when I came to the Lord. Do you like listening to Podcasts? I want to share my faves with you. 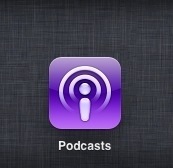 If you have the Podcast App, you are all set. If you don’t, you can always download the App. I always love listening to her program as it always deals with the supernatural realm. Great guests on her show, many of them are the same authors of the books I have been reading which are also on my recommended reading list..
Great guests also on his show, also some authors of the books I have read. I don’t always listen to all of them, but I pick and choose by the titles that interest me. Also great show focusing on the supernatural. I can’t have enough of the God realm. That everlasting realm we will live in for all eternity. 1 Down And 2 More Added To My Reading List. The Dancing Hand of God by James Maloney This book raised my faith to believe in the supernatural move of God that creates miracles and a breaker anointing. It will be enjoyed by anyone who is apostolic. I read it just before James Maloney came to our church for a weekend long conference and by then my expectation was very high to see God move in a great way. My husband and I received a power packed prophetic word by Maloney the last service. Maloney team taught together with Randy Demain. The God Realm by Patricia King, Randy Demain and others. Wow!!! After Randy Demain finished teaching on the Glory realm for 2 sessions, I was so desperately hungry for more then I have experienced, I went and downloaded this book. Can’t wait to finish it and experience more encounters with God in that Glory realm. 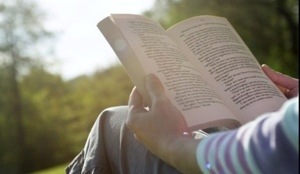 For a complete list of my reading recommendations, and what other book I added to my reading list click here. I feel there are not enough hours in one day to read on top of pursuing that glory realm AND all other obligations of having a family and work. And that is to say something since I am not a reader in the first place. These books are making me desperate though! I read this book in 2001 or 2002 and it has changed my relationship with God completely, teaching me to hear God for myself and journal and how to enter vision. This is what my blog is about. I blog about conversations I have had with the Lord and things He has shown me through dreams and visions. I have gone back to this book a few times but have since given it away. I have re-read this book once or twice, it was so good. I have increased in supernatural experiences and visions when I was studying this book together with a Women’s Bible Study group in 2010. I read this one also in 2010 but have understood it even deeper on the second round just this month, May 2013. We even watched him teach on Youtube which made it so much clearer. The best teacher ever when it comes to understanding the Gift of Discerning of Spirit and has great tools to activate the gift in your own life. I have again increased in my seeing ability after reading this book. I read this one in 2011 and had started to read it for a second time too because this book made me long for eternity. 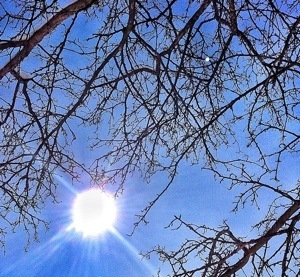 It made me very aware that all we do now on earth will be laid bare when we get there before the face of God. All we do now must have an eternal value. It also made me very hungry to enter vision. The whole book is one long extended vision Rick had. Has the same feel as The Final Quest and very insightful. Actually this book, my husband read it to me at bedtime over a few days in March this year, 2013. He is the book lover out of the two of us. This book is also one extended vision Rick had. 7. The Dancing Hand of God by James Maloney Read in June 2013. This book raised my faith to believe in the supernatural move of God that creates miracles and a breaker anointing. It will be enjoyed by anyone who is apostolic. I read it just before James Maloney came to our church for a weekend long conference and by then my expectation was very high to see God move in a great way. My husband and I received a power packed prophetic word by Maloney the last service. 8. Powerful Encounters in the God Realm by Patricia King, Randy DeMain and several others. Randy DeMain was speaking at a conference in our Church in the beginning of June 2013 and his topic was on the glory realm. After the conference I was so hungry I had to have more on this topic. I had to order this book the next day and it made me even more hungry for the glory realm to manifest in my own life. The testimonies in this book are out of this world! I can definitely say this book changed and raised my expectation of what God will do through my own life. 9. Open My Eyes Lord by Gary Oates – especially excited about this one now that I am focusing on entering that supernatural realm on a daily basis. This book helped me understand the ministry of angels especially. I remember there was a time, 11 years go, I was very annoyed when people talked about angels and seeing angels. I felt upset that these people were taking things too far and I felt they were worshiping angels instead of God. It was my understanding that was limited. Once I opened up to learn things I didn’t know, about 10 years ago, I realized how little we know about the spirit realm. 10. The Seer by James Goll – I was so excited when my husband got me this book for my birthday last year. I had been having many personal dreams and visions and when I saw this book I felt it would give me deeper understanding of my prophetic gifting, which it did. I was especially grateful to learn that there are different dimensions of the prophetic anointing, e.g. dreamers and visionaries, others who proclaim God’s corporate purpose, those who speak forth administrative strategy of God with a political slant, prophetic counselors, prophetic intercessors and many others. But definitely helped me understand the sphere of influence God has given me in particular. 11. Glory Rising by Jeff Jansen. I had never heard his name before until we went to a Prophetic Conference where Jeff was the speaker. I didnt know what to expect. Some things at first sounded New Agish until his speaking and the book clarified a lot of deep things of God that the enemy has twisted for His purposes. There is such hunger in the human heart to experience the supernatural glory of God and since the Church is not meeting this need, people run to New Age teachings. 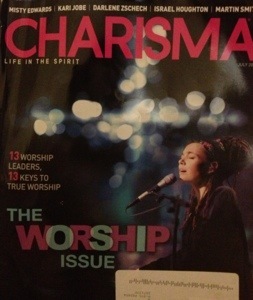 I was so impacted by this book, it made me so hungry for more of the glory of God. It is unbelievable what we are capable of in the spirit. In the West believers are so unaware of the spirit world. We have ourselves experienced much on the missionfield how the spirit world is so well understood, even for evil purposes. If we only knew all that is available to us in the Spirit as we walk in God’s glory…. 12. 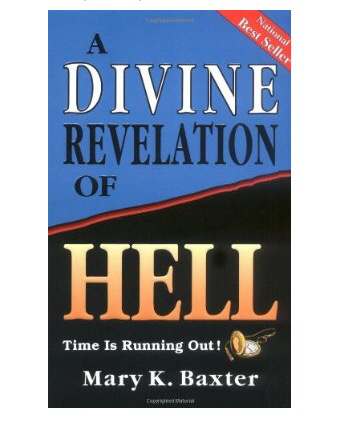 A Divine Revelation Of Hell by Mary Baxter. This is one of the most CHILLING books I have ever read. I was very much so shaken by Mary’s account of what she saw, heard, felt, smelled and experienced in hell for nights on end. After reading this book I have been revived with an intense desire to warn others to not end up in hell. The Bible does talk clearly about this horrific place and yet I never realized just how much the Bible discribes hell both in Old and New Testament. What shook me even more is to read her account of how those who end up in hell include people who used to preach the Word, people who went to Church for years, those who called themselves Christians. It made Jesus’ words “not all who say: Lord, Lord…” even more real. 13. 23 Minutes In Hell by Bill Wiese. 2nd book review on the topic. 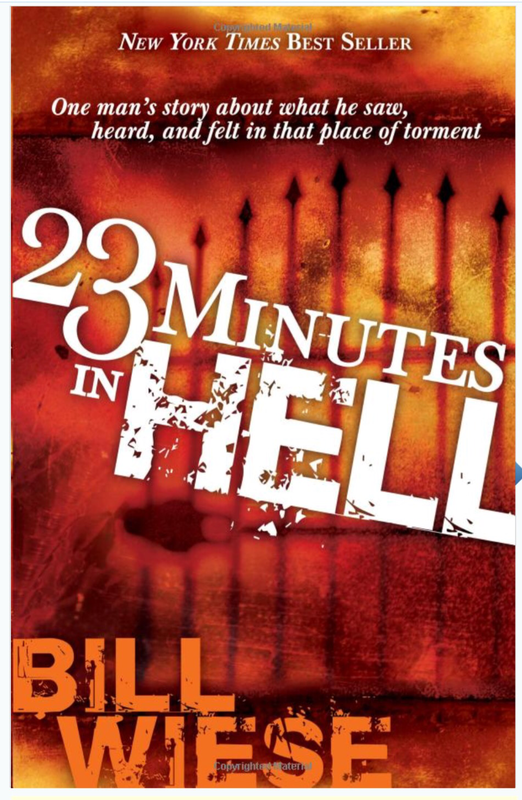 Bill was taken to Hell for 23 minutes one night and came back to tell about his beyond-horrific experience. I was very curious to read his book after having read Mary Baxter’s A Divine Revelation Of Hell and compare their experiences. No surprise! Both gave same descriptions. Our soul will still have a body after death. Where will you spend eternity after you die? We will still have our 5 senses which are more keen in the spirit world than in the natural dimension. Both Bill and Mary discribed the pits of hell as they saw it. Both experienced the torture and the pain. Currently I am between a few books that I am real excited about and will update here when I am done with them. They are already in my possession, just need to either start or finish them. Growing In The Prophetic by Mike Bickle I have this in hard cover. The Call by Rick Joyner I have this one in hard cover. Several years ago I had a dream. I was just reminded of it couple days ago in a conversation with my sister. I will share the dream first and then a background followed by the interpretation. I dreamt that my husband and I owned a large house with a beautiful garden and we hired a gardener to keep our garden. The gardener was T. Harv Eker, author of “Secrets Of The Millionaire Mind“. He would come work for us daily, trimming bushes and the like. In the dream our gardener (Harv) was flirting with me, a married woman. Any time I went outside, he’d try to talk me into being with him despite me being married. So I decided to go outside the fence to go tell my husband that the gardener was really pursuing me and as I went to him, there on the ground I found hundreds of diamonds! Different sizes and all so brilliantly shiny as the sun hit them from all angles. I was so excited and wanted to quickly bend over to start collecting all these diamonds that seem to have fallen from the sky! I couldn’t believe my eyes! As I bent down, to my disappointment, I realized they were all plastic diamonds! Large toy, fake, plastic diamonds! 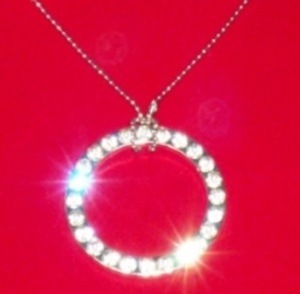 Their sight in the dream reminded me of these large diamonds on toy jewelry little girls wear when they play dress up. But even so I wanted to believe they were real and tried picking up as many as I could, knowing full well they were just plastic and feeling so disappointed. Then I woke up. Background: As a home business owner, most of us get exposed to these teachings on mental power and self-help and how you have the power in you, not only to create wealth, but to heal yourself, to live a happy life, to have great relationships and everything you could possibly want in your life. All possessions and high success can be reached simply by day dreaming them into reality, meditating on them all day while you work, repeating positive affirmations everyday night and day and it all sounds so darn attractive, with some spiritual language included that even well-meaning Believers don’t see the trap. They don’t realize this is all new age teaching about being one with the universe and completely void of God. Make no mistake, spiritual sounding does not mean biblical truth. Another such book is “The Secret” by Rhonda Byrne besides Harv’s best seller and there are many others. Warning to Believers in Christ: Think of it… if truly I could have it all by using mental power, by using positive affirmations day in, day out, why would I need God at all? In that case, forget God! I can be my own god and design my own life as I wish it to be. Be careful dear ones… The Bible says that God gives us the ability to produce wealth. Yes, this too comes from God. Don’t confuse the term “universe” with God! I know the content of those teachings that even Believers cling to. I too read the books, watched the movie and attended the seminar. I also repeated positive affirmations and visualized my desired life until the Lord exposed these lies. And because I submitted those teachings soon to the Lord and ask Him to show me His truth, He spoke to me about it and I journaled all He taught me and then gave me this dream later. We must all weigh what we hear and not just run to mix Biblical truth with New Age beliefs. Interpretation: In my dream, the gardener, in this case Harv, represents these teachings about mental power to create success and wealth and more in your life. Could be that the garden represented my life even. I had let this teaching into my life and it started to seduce me. I knew deep down though something wasn’t right about him (these teachings) pursuing me. I went to my husband in the dream whom I believe represented the Lord as My covering (just as my husband is my covering and the Lord also being the Lover of my soul). Me telling my husband about this gardener pursuing a relationship with me represented me submitting these teachings to the Lord. Also I think the reason my husband was outside the fence is that when false teachings overtake your life, you are really pushing God’s truth out. You can’t have both truth and lies mixed. And you can figure out what He showed me… all these teachings perceived as the way to true riches, it is all PLASTIC. In other words, fake! You know what they say… not all that shine is gold! Those who understand true riches know what I mean. So, you know I am not saying wealth is bad or fake. Take this to the Lord and ask Him for His heart, best way to receive Truth. Also feel free to comment if you’ve been seduced by these false teachings as a Believer and what you learned. The Lord Speaks To You Daily, You Just Don’t Realize It. There was a time in my younger days when I was sure God never spoke to me. I knew that I did have experience in finding His leading through the Bible and that Scripture would jump out at me right when I needed an answer from Him, but outside of Scripture, I just didn’t feel I was capable of ‘hearing’ Him. Then one day I was doing an exercise in a course I was taking and it required me to think back on times when the Holy Spirit spoke to me to give me answers I needed. I just was blank for a while saying I can’t think of any. As I prayed, the Lord reminded me of a few times that I will describe below, but at those times I just didn’t see them as Him speaking to me. I guess I was expecting to hear this trumpet blowing or something… haha. Even 1 Kings 19:12 describes this very well: “and after the earthquake a fire, but the Lord was not in the fire; and after the fire a still small voice”. I will mention only two right now for the sake of keeping it short. When I moved to another island for College, it was the first time for me to live so far from my family. I would call my mom often. One day when we were on the phone she told me that she wasn’t feeling good and her hands were very cold. After we hung up I started panicking. I literally could feel all kinds of fear welling up inside of me, wondering what would I do if my mom was actually going to die. I started pacing the room, feeling all kinds of upset in my stomach, praying asking God to touch my mom… it was a horrible feeling knowing I was far away and could do nothing for her. I felt helpless and very afraid. Suddenly, in a very unusual way on the inside of my being I sensed very clearly this sentence “Your mom is doing fine”. I didn’t really connect the dots that this is how the Holy Spirit speaks, but all fear and worry vanished like smoke. I went on with my routine and didn’t give it another thought when just minutes before I was on the verge of tears. Only years later when doing this exercise I realized that this was indeed that Still Small Voice, the way the Holy Spirit speaks. Another one of those stories is while I was living at the same apartment while in College. One day our apartment got broken into again like other times before. Except this time they broke into my bedroom too. It was a very scary experience for a 19 year old girl to get home by herself and find the apartment broken into again, walk upstairs and find her door wide open with her belongings thrown around, closet open, etc. I first went to my jewelry box and when I saw that my gold jewelry was still there I wrongly assumed nothing had been taken, then I called the police. I told them that I haven’t missed anything but reported the break in. No sooner I had hung up and sat on my bed, items started rolling into my mind. “Your boots”! I ran to the closet, they were gone. “Your passport”. I opened my drawer, gone! “Your expensive shirt”, opened the closet, gone! “Your new pair of jeans”, I went to look, sure enough, gone too! And the list continued one by one until there were like 8-10 items on it and then I sensed nothing more. How awesome that the Lord told me each thing! He was right there in my room and watched what they had taken. And told on the thieve(s)! Note that nothing that came to my mind was still there in my room, each item was missing. Although at the time I knew it was God, it never occurred to me that this is how the Lord speaks. I still thought I would have to hear this deep scary voice coming from heaven. Thank God by His mercy He taught me to listen to His inner voice, I recognize it and know it is His Rhema. And so does He speak to you, you just have to listen. Please feel free to share your first memories of a time when the Lord clearly spoke to you and gave you direction or even what to tell someone else. John 10:27 “My sheep hear My voice, and I know them, and they follow Me”. Isaiah 30:21 “Your ears shall hear a word behind you, saying,“This is the way, walk in it,”Whenever you turn to the right handOr whenever you turn to the left”.